Labor strikes in the early 20th century were common and often violent. In 1910, this mill on Austin Avenue was the scene of two armed confrontations between mill workers and police. It was well after midnight when a convoy of four automobiles slipped into Greenville under cover of darkness. Three cars carried sheriff’s deputies led by Providence County Sheriff Daniel Kiernan, the fourth held executives of the Stillwater Worsted Company on what is today Austin Avenue. Hints of moonlight broke through scattered clouds as hard-focused eyes scanned the darkness for signs of trouble. The men were nervous. Some gripped shotguns, while others fingered blue-steel revolvers under their coats. All seemed quiet as the line of autos made its way from Putnam Pike onto Austin Avenue, but word of their departure from the Providence courthouse had preceded them, and strikers had laid an ambush. Suddenly, a large crowd appeared in the headlight beams and set upon the automobiles, some threw stones and bottles while others attacked with clubs. The sheriffs reacted, and the angry shouts of strikers were suddenly drowned out by the eruption of gunfire. As volleys of hot lead sailed through the night the drivers gave their machines all they had, and barreled headlong through the masses towards the gates of the mill. As the last auto roared through the gates security guards slammed them shut just as the club wielding mob came surging against them. Curses, obscene gestures, and epithets were exchanged before the situation stabilized for the moment. The black iron gates designated the battle lines, with strikers on one side, and the sheriffs and their charges on the other. Both sides waited to see what would come next. It was April 25, 1910, and the Stillwater Worsted Company was in the midst of a labor strike. What began as a snub in seniority rights ten days earlier had erupted into violence and gun fire. One newspaper account stated the deputies fired between thirty to forty shots at their attackers, but the sheriff’s claimed they had held their fire, and that it was armed strikers who had done the shooting. In either case no injuries were reported, but there was more violence to come. 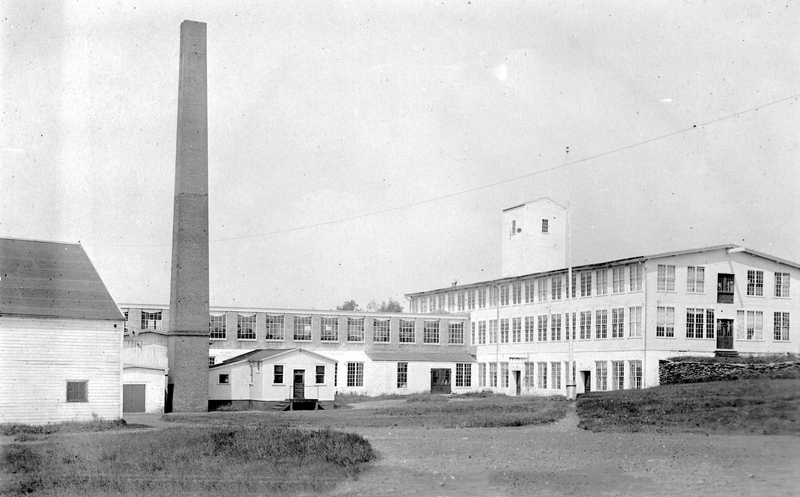 The Stillwater Worsted Company was founded in Burrillville, and over time expanded its operations by opening other mills bearing the company name, including the one in Greenville. 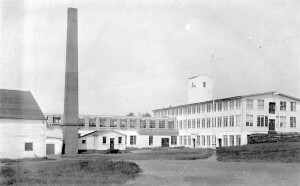 The Stillwater Worsted Company in Greenville was in no way connected to the Stillwater Mill located in Stillwater, which burned to the ground in May of 1984. Two weeks before the riot on Austin Avenue, a Boss Weaver at the mill had hired twenty non-union workers and gave them coveted positions on the day-shift over senior workers who were told they had to remain on the night-shift. A grievance committee met with Mill Superintendent John Dunn on April 14, and Dunn promised to look into the matter. The following day the committee met with the mill owner, Austin Levy, who wanted to talk to the Boss Weaver and Mill Superintendent to get all sides of the story before making a decision. Apparently this was unsatisfactory to the committee, and later that same day nearly one-hundred workers voted to strike. The strikers demands included, among other things, that the Boss Weaver be fired, which was something management wasn’t prepared to do. Negotiations broke down, and on April 24th, a mob assembled in front of the mill breaking windows and causing other damage. The vandalism prompted mill executives to contact Providence County Sheriff Daniel Kiernan for assistance since Smithfield’s meager police force consisted of an elected Town Sergeant and his four appointed constables. After the shooting incident on the night of the 25th, Mill Superintendent Dunn called for a special Town Council meeting to ask for more local police to protect the property. The following day the Smithfield Council appointed fifteen special constables, three of whom were members of the Town Council. A contingent of strikers attended the meeting, and tried to dissuade the appointments, stating they weren’t necessary. Yet meanwhile, strikers had established picket lines on all roads leading to and from the mill to prevent the importation of replacement workers. Council President Rufus Mackie told the strikers that the newly appointed lawmen were not to guard the mill, but to quell any disturbance(s) which might occur on public highways. After the meeting, Superintendent Dunn said that some striking workers would be welcomed back, if they chose to come back, but that some of the strikers would never work for the company again. Strikers, on the other hand, told the reporter that grievances with the Boss Weaver actually dated back several months, mostly concerning work assignments and manpower. With tempers flaring, and the threat of further violence, replacement workers were ushered in and housed in a building located on the mill property that was closely guarded by Smithfield Town Sergeant Jencks Smith and three police constables. The Evening Call was careful to point out that although some strikers included union men, “organized labor does not figure in the struggle as most of the workers are non-union men.” The entire issue, the strikers maintained, was the “retention or discharge” of the Boss Weaver. By April 30th workers and management were no closer to a settlement. Mr. Levy announced to reporters that the replacement workers, which some called “strike breakers” were there to stay, but added that all of the natives of Greenville were welcome to return to their jobs if they so desired. While some citizens of the village privately stated their desire to return to work, the strike leaders maintained that their ranks were as unified as ever, and a campaign was begun to solicit funds for striking workers to keep the dispute going. Violence erupted once again on May 9, when a group of about two dozen replacement workers walked from Centerdale to Greenville. As they neared the gates of the mill, they were set upon by a group of children who began pelting them with rocks. Some of the men drew pistols and began shooting over the heads of the miscreants causing them to scatter. One news account of the action stated that nearly all of the “strike breakers” took part in “the promiscuous shooting”. The sound of gun fire brought local police and sheriffs guarding the mill, and a confrontation at the gates ensued. Constable Jenckes Smith Jr., son of Town Sergeant Jenckes Smith Sr., approached one of the armed men and attempted to take his revolver away. The man shoved the muzzle against the officer’s chin and seemed about to shoot when one of the deputy sheriffs intervened and disarmed him in short order. One by one, others in the crowd were also disarmed. While this was taking place, a sympathizer appeared from a nearby home with a shotgun and aimed it at the officers, but held his fire. After a brief standoff he surrendered the weapon and was allowed to return to his house. No arrests were made that afternoon, which was prudent thinking on the part of the officers, who were out numbered, out gunned, and without means of quickly gathering re-enforcements. While there were no reports of serious injury associated with the melee, that didn’t mean there wouldn’t be consequences. Officials met, and decided that enough was enough. Such unrest couldn’t be allowed to continue in the otherwise quiet village. The following day a dozen arrest warrants were drawn up, however not for the “strike breakers” who had participated in the shooting spree the day before, but for those who had organized the strike to begin with, and had continued in their efforts to keep it going. It was their actions, some maintained, that had ultimately led to property damage, gun play, and an overall disruption of the peace. The ultimate outcome of those arrested is not recorded, but as with all labor strikes of the early 1900s, peace was eventually restored, for strikes were expensive and counterproductive for all concerned. Town Sergeant Jenckes Smith, served as Smithfield’s top law enforcement officer for more than twenty-five years before he passed away in October of 1910, just five months after the strike incident. Sheriff Kiernan went on to serve as Cranston’s Chief of Police from 1912 to 1915. Mill owner Austin T. Levy is said to have treated his employees well, being one of the first in Rhode Island to offer employee benefits such as profit sharing, stock options, and paid vacations. He passed away in 1951 at the age of 70. In 1963, the Stillwater Mills moved their production facilities to Virginia. Today, the former Levy Mill is an elderly care facility. The iron gates that once separated angry mobs from armed guards are long gone.